The humorist Dave Barry once quipped that beer is the greatest invention in the history of mankind. We’re not sure we’d go quite that far, but we do appreciate a well-crafted microbrew. That’s why we at Elmhurst Toyota recommend that beer lovers pay a visit to the third annual Elmhurst Craft Beer Fest on Saturday, September 16. Hosted by the Elmhurst Heritage Foundation and the Rotary Club of Elmhurst, the event will be held on the grounds of the Elmhurst History Museum. Visitors to the Elmhurst Craft Beer Fest can choose from more than 50 craft beers that represent 30 Chicagoland-area breweries. Barbecue Jim’s Smokehouse food truck will be on hand for those who want to pair their beer with some great food. In addition, Brain Freeze Ice Cream will be at the site serving up delicious frozen treats. The Explore Elmhurst Trolley will make the rounds through Elmhurst, so those who live near one of the trolley stops can leave the car at home. What’s more, the proceeds go to worthy causes. All funds collected will benefit the Elmhurst History Museum’s educational programs, the Rotary Club of Elmhurst’s service projects and Churchville Schoolhouse. September 16, 2017, 1-5 p.m. Early entry event, noon to 1 p.m.
General admission is $50. Early entry admission (limited) is $65. Designated driver admission is $20. The ticket price includes a souvenir tasting glass, 18 tasting tickets, light snacks, and a chance to win great door prizes. Furthermore, the first 200 attendees will receive a $5 coupon good for food and beverages on the day of the event at participating Elmhurst City Centre bars and restaurants. Early entry admission allows you to sample special-release beers and ciders before supplies run out. Early entry attendees can visit the most popular booths and talk with beer representatives before it gets crowded. Designated driver tickets include soft drinks, bottled water, snacks and music (no alcoholic beverages included). Will-call tickets can be purchased in advance online on the event’s online order form. You can also buy tickets at the event. Finally, all attendees must be 21 years of age or older. Acceptable forms of identification include a driver’s license, state-issued ID, military ID or a passport. 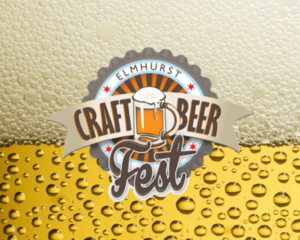 For more information, call the Elmhurst History Museum at 630-833-1457 or visit the event’s website at elmhurstcraftbeerfest.com.